Banish viruses and spyware from your PC for good. 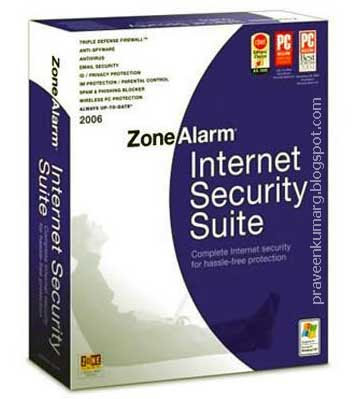 ZoneAlarm Internet Security Suite not only eradicates threats but also prevents them from ever entering in the first place. It also stops identity thieves, phishers, and spammers cold, so it’s no wonder we’ve been rated the best in the business. New engine delivers the best virus protection with enhanced detection and removal capabilities. Hourly signature updates, expanded coverage, and faster detection to find and remove even the most recent and aggressive viruses. Allows hassle-free computer operation from the moment of installation by hiding unnecessary security alerts, thereby drastically reducing interruptions during the first two weeks as the product learns the programs you typically use. Automatically configures security settings, and rates threats according to level of potential damage they represent.